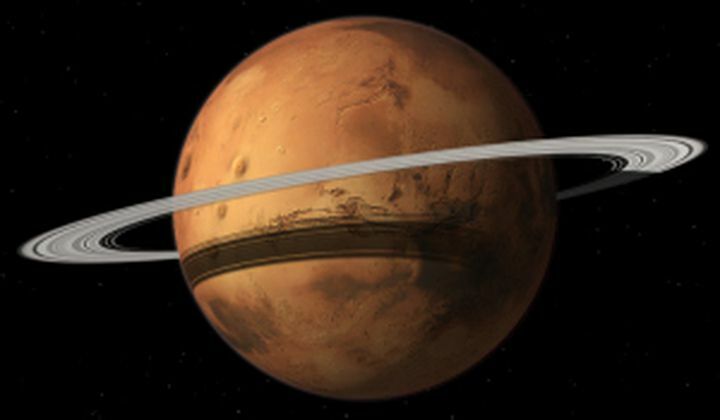 Mars might have its own ring system like Saturn in about 20 to 40 million years. The larger moon, Phobos, which already orbits closer to its planet than any other moon in the solar system, creeps a few centimeters closer every year. Eventually tidal stresses are going to break the already fractured moon apart “like a granola bar,” according to the University of California, Berkeley team studying the phenomena. Astronomers can see evidence of this happening already; in the 1970s, the Viking spacecraft showed that Phobos is covered in grooves, likely caused by the gravitational pull of Mars.